The all-clear was given after St. Louis County police officers were on scene. 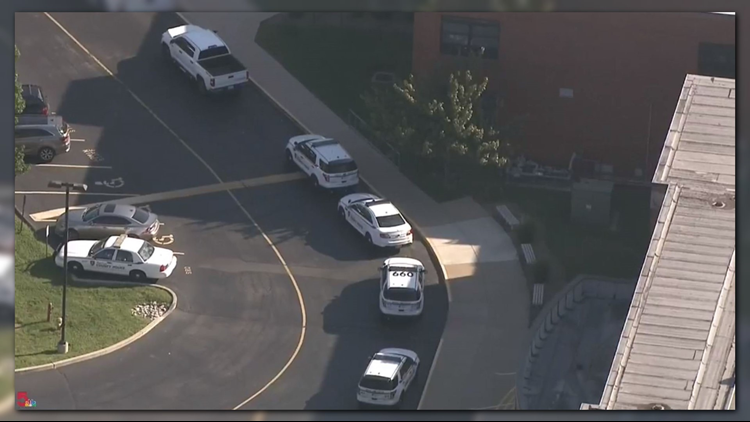 ST. LOUIS COUNTY – Mehlville High School was on a soft lockdown Friday morning after reports of a weapon on campus. The incident was brought to the attention of a school administrator by a student who had direct knowledge of the event. The school was placed on a soft lock down for searches of the grounds to be conducted. Those searches revealed no weapons on the property. The school was found to be safe and the lockdown was lifted shortly thereafter. The investigation has revealed thus far that a firearm could have been on the property on September 13 in response to threats made on social media by one student to another. At this time, we believe all parties involved to be juvenile students. The firearm was ultimately recovered off of school property. The investigation remains on-going and an increased police presence in/around the grounds will continue. St. Louis County Police has given us the all-clear. Our soft lockdown has been lifted. Students are returning to their normal schedules. We appreciate all of our students' cooperation this morning. Mehlville High School is currently on soft lockdown because staff received a report that a weapon may be on campus. We are working closely with St. Louis County Police to investigate these reports and to search the building. A soft lockdown means that students are remaining in their classrooms and instruction is continuing. All movement outside of classrooms is being monitored by staff. Students will remain in their current classroom until we receive an all clear from police. We want to assure you that our students are safe. We will continue to provide you with updates.